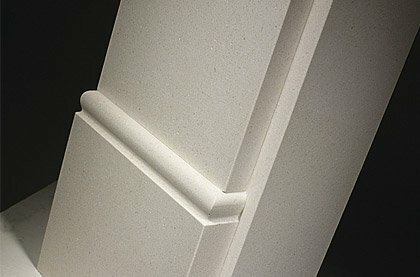 We have a wide choice of surrounds available in limestone, marble, granite, wood and cast-iron. Surrounds are the finishing touch to a fireplace, a signature if you will. The surround is the statement piece, it is the first part of the fireplace your eye is drawn to and the last thing you see when you walk away, so making sure it is the right style and design is crucial. All of our surrounds are sold individually this allows you to combine them with a hearth, back panel or slip set of your choice. Think of surrounds as the frames of the fireplace, available in a range of materials, such as limestone, marble, granite, wood and cast-iron. Each is sold individually allowing you to combine them with a hearth, back panel or slip set of your choice, in matching or contrasting materials or colour, mix and match to your hearts content. Limestone is neutral in colour, constituting an unassuming background to the rest of your interior and foregrounding the fire within. 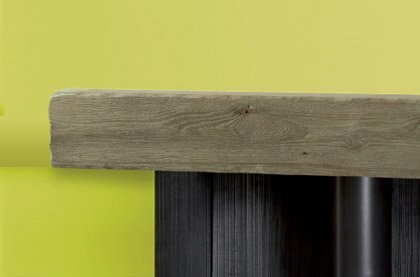 This will suit almost any room and any colour scheme, contributing a natural rustic element to its surroundings. Limestone surrounds are compatible with all fuel options a Limestone Fireplace could be the perfect choice for your room and look equally at home in contemporary or modern settings. Limestones are composed of grains, most of which are the skeletal fragments of marine organisms. Our natural marble surrounds are carved from solid stone, displaying intricate natural veins and subtle colour variations. Also featured in this category are micro-marble surrounds, these fireplaces are manufactured from crushed natural marble stone, mixed with a bonding agent which is then poured into a mould, making them much less expensive than natural marble and with the added benefit that these can be made to measure. You can use electric, gas or solid fuel fires, or even stoves, with these surrounds. Wooden surrounds look equally at home in both traditional and contemporary spaces, from the traditional oak and pine materials featuring carving, corbels and fluting to the more contemporary beech, birch, MDF and Veneered woods, offering clean straight lines and sleek smooth finishes. Wooden surrounds offer the rustic charm and natural appeal of the forest, with natural grain and know formations making them truly one of a kind. Sturdy yet sophisticated. 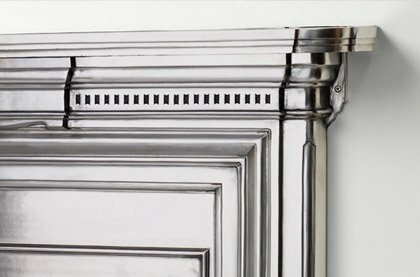 Cast-iron surrounds were first developed as far back as the eighteenth century, their superior heat retentive properties and durability have made them incredibly popular ever since, and led to the development of the combination fireplaces of the Victorian era. These surrounds will look equally at home in both traditional and contemporary settings, and can be combined with hearths, back panels and slip sets made from other materials to create your own one-of-a-kind fireplace, and don't forget the main event, the firebasket or stove: you can use electric, gas or solid fuel fires, or even stoves, with these surrounds. Our granite surrounds are carved from polished black granite, displaying intricate natural veins and subtle colour variations, and come in a variety of styles and designs. You can use electric, gas or solid fuel fires, or even stoves, with these fireplaces, and they will look equally at home in either contemporary or traditional settings. 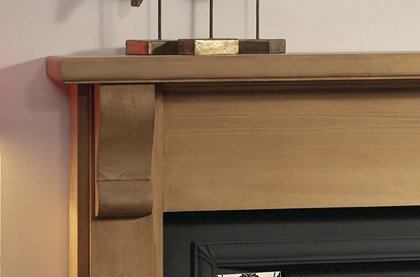 We offer a vast array of fireplace products, including fireplace packages, suites, fires, hearths, surrounds, beams, tile sets and much, much more. If the selection in this category is too broad for your needs, try using our filters to narrow your search criteria at the side of this page, so you can find the fireplace product that’s right for you.